It’s time again for another M! Countdown. Hold on to your seats, my friends as today’s Countdown begins. First up it’s the boys of Mighty Mouth ft. Soya with “Tok Tok.” Is it just me or are their performances getting better? well, I guess if you’re doing the same thing week after week it’s gotta improve. Former Baby V.O.X. lead singer Kan Mi-yeon, performs “Paparazzi.” The performance is okay, but I’m not a big fan of the song- the chorus is a tad irritating. Kpop diva-in-training G.Na returns with her song “Black & White.” The song and performance are slightly lackluster. I’m thinking her wins with this song were lucky and due to a lack of heavy hitting competition. MBLAQ tries to impress with “Again.” I really like the boys of MBLAQ, but have never really liked their songs. Hopefully, now that J-Tune is under JYPE, they’ll get some better material to work with. Teen Top mixes it up with a remix of “Supa Luv,” but I’m thinking they maybe should’ve left it the way it was. The vocals were really off in this performance today and usually the boys just kill it. 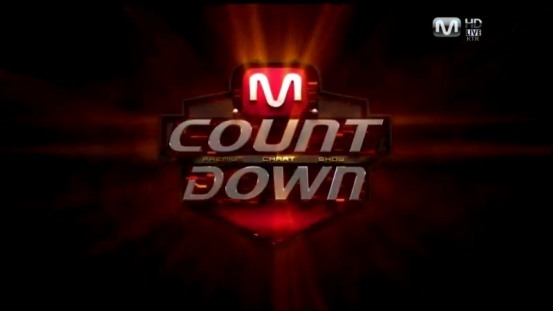 Next up, Mnet threw in a little teaser to what should be a ‘beautiful night,’ Big Bang‘s comeback to the Countdown next week. Real life Kpop diva legend Insooni kicks it up a notch and tries to knock your socks off with “Uppercut.” Don’t call her ahjumma, because this diva still knows how to throw it down. Love it! Attention: No Dalmatians were injured in this performance of “The Man Opposed.” But, seriously these guys have an identity/concept issue- the cutesy thing doesn’t match them. The boys had some issues with the vocals this week also. Male trio Young Gun impresses with “Don’t Blame Her.” Never heard of the guys before, but sign me up for the fan club! Great vocals although a bit Mariahy with the runs. Rookie girl group 5Dolls get some moral support from their T-ara sunbaes Eun-jung, Hyo-min, and Ji-yeon. The song is typical Kpop- the vocals are good and the choreo and performance are okay, too. If they want to stand out from the crowd, they’ll need something a little better. Lastly, the performance I was looking forward to- the solo debut of Secret‘s Ji-eun featuring Bang Yong-gook. They went all out for her debut with the goth backdrop inundated with vines of roses- very dark romantic. She plays the piano, too? I’m impressed. t’s a great solo debut. You’re not gonna believe who the winner of the Countdown was… and I’m not gonna tell you. It’s kind of unbelievable. You have to go check it out for yourself.